In a pivotal move for the company, Flight Centre has partnered with Australia’s largest privately owned and operated IT services company, Interactive to outsource its infrastructure management. The deal signals a shift from co-location to managed services, tasking Interactive with end-to-end responsibility over the data centre environment and legacy compute from IBM and Cisco, as well as Dell storage and CommVault backup. 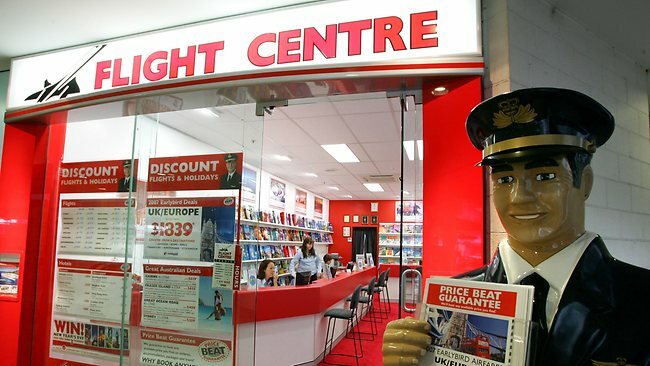 Through the process, Flight Centre is freeing up resources – such as mind power and capital – and gaining more flexibility to enable their business to grow and evolve, as they need without being locked into a permanent hardware contract. Interactive’s long standing business relationship with Flight Centre has developed over the past 12 years, positioning the IT services company well to manage a project of this scale and size. “Our potential to innovate was being held back by the time and resources spent on an in-house infrastructure. We had difficulties enabling the businesses rapid growth in new markets and areas, without constantly revisiting our infrastructure solution. This game changing move for Flight Centre has been delivered by Interactive’s world-class business continuity, hardware maintenance and data centre facilities in Queensland. Interactive is Australia’s leading multi-service IT provider, specialising in cloud-based services and traditional hardware maintenance, as well as business continuity solutions. Founded in 1988, Interactive is Australia’s largest privately owned IT company, boasting over 400 staff with more than 2,000 customers nationwide. Interactive is the 357th largest privately owned business in Australia (as listed by BRW 2014) and has consistently grown 15% annually since inception. Interactive is also extremely proud to be currently positioned at number 19 in the BRW Great Places to Work survey for its commitment to team experience in the workplace.